You’re finally beginning to figure out where your classes are each day without using Google Maps, while subsequently learning the best routes to get to those classes while avoiding walking up Bascom. Congrats, you’re getting the hang of things around campus! As a freshman, you may be seeking fun night life activities that don’t involve being 21. 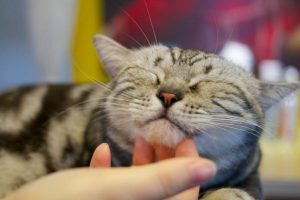 Here are the top 3 reasons you should be at Cat Café Mad right now! Whether you’re missing your cat or dog from home, or just love cats in general, you will love being greeted with meows as you enter the cafe. One of the sweetest cats to snuggle up with on the couch with a great book is Miles. He loves to be held and will purr to his hearts content as long as you pet him. You can check out all of the adorable cats on Cat Cafe’s Website under Current Cats. Looking for a snack after a long day of classes? Cat Cafe Mad offers a large drink menu ranging from hand crafted hot or cold chocolate and smoothies, to Italian soda, as well as a custom crepe menu. You are able to choose protein, vegetable, and a flavor for your crepe. 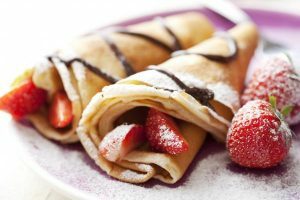 You can even get delicious dessert crepes! 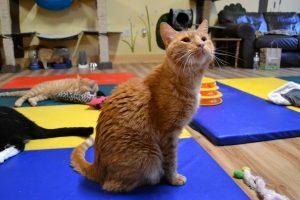 Cat Cafe Mad serves as a home to many foster cats from shelters in the Madison area. Your admission fee to the cafe goes towards helping keep those cats safe and off the streets and out of shelters. While the cafe has some permanent residents that they have adopted, many cats are up for adoption. Perhaps you’ll end up going home with a new furry friend!